Plant-based food and veganism, the free-from movement and booze-free beverages have been identified as the top three trends which impacted food & drink businesses in 2018, according to new research by The International Food & Drink Event (IFE). The research, which surveyed members of the UK’s leading and largest food & drink event network, also revealed that plant-based eating, sustainable packaging, gut-friendly foods and sugar-free are the most prominent trends businesses are looking to leverage in 2019 – demonstrating the influence consumers’ growing interest in health & wellbeing is having on the sector. Buyers with an appetite for the latest food & drink trends, will be able to tap into the most up-to-date innovations and insights at IFE 2019 – taking place now at ExCeL London 17-20 March. 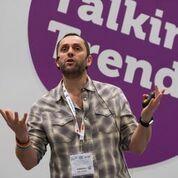 Prominent experts from the food & drink industry, including leading plant-based influencers, will take to the Talking Trends stage throughout the four-day event to share their experiences, opinions and predictions. The impressive line-up includes Maria Antidormi, Insight Consultant at Anima Insight; Al Overton, Senior Buyer at Planet Organic; Derek Sarno, Director of Plant-Based Food Innovation at Tesco; and James Hacon, Managing Director of Think Hospitality. Taking the exploration of up-and-coming food & drink trends to the next level and providing a Taste of Tomorrow, is the Tasting Trends area. New to IFE 2019, the multi-sensory experience will take visitors on a culinary journey as they see, smell and taste the food & drink that will be shaping the future of the industry. While plant-based food remains the hottest topic, other trends on the menu include those that promote good gut health (fermented foods), food with good fats (Omega 3), foods that relieve stress (vitamised juices), the new stronger spicy flavours coming through in snacks and confectionery, and a closer look at why the proportion of Brits drinking alcohol is at its lowest. To delve even deeper into the trends shaping the industry’s future, back by popular demand are the Trend Trails. Designed to help visitors navigate their way around the event one key insight at a time, the Trends Trails will visit some of the most progressive brands in the plant-based, food to go, private label, circular brands and global innovations movements. The food & drink industry’s biggest event of the year, IFE 2019 has garnered interest from some of the sector’s leading brands, with exhibitors including Cheatless protein bars, Eaten Alive fermented foods, Evoca Drinks premium soft drinks, Gato & Co plant-based indulgent treats and Meet The Jackfruit health supplements, to name but a few. Co-located with Pro2Pac, the complete processing & packaging event for the food & drink industry, the joint festival will provide a comprehensive snapshot of the food & drink industry, making it a calendar highlight for all forward-thinking companies.